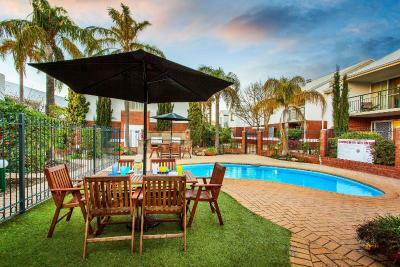 Lock in a great price for Comfort Apartments South Perth – rated 8.3 by recent guests! location was excellent as we had an appointment at the day hospital nearby. Excellent location, easy to check in and out, friendly and helpful staff. 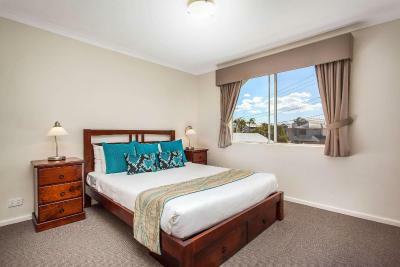 The apartments are a short walk to the Swan River, and some fine local eating establishments. Good location to the CBD but being on a busy road and without double glazed windows meant it wasn’t the quietest nights sleep I have had. It was comfortable but I’m guessing it hasn’t had any updating done to it since it was built and it’s starting to show. We were “upgraded” apparently so it would have been interesting to see our original room. Reception staff were nice and check in/out quick. Just a handy location for our once a year catch up with 5 of us who did a leadership course together 14 years ago. Just wish we could each have the princess room...the large bedroom with ensuite !!! The location is perfect for where we wanted to be in Perth. The staff were kind and considerate and went above and beyond to help our family. We flew down due to a medical emergency and they helped with collecting our groceries and putting them away for us. Thank you so much. 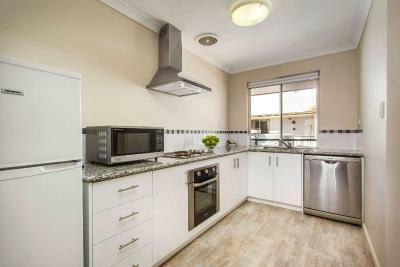 Excellently appointed apartment with fully functional kitchen (except for non functional can opener). Very safe, central and clise to restaurants, grocery shops erc. We will certainly stay again and recommend. Thank you. 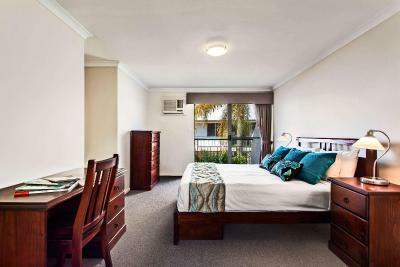 Comfort Apartments South Perth This rating is a reflection of how the property compares to the industry standard when it comes to price, facilities and services available. It's based on a self-evaluation by the property. Use this rating to help choose your stay! 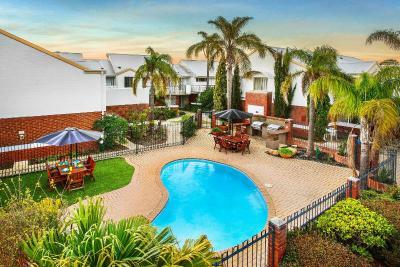 Comfort Apartments South Perth offers fully-equipped apartments in a garden setting with outdoor swimming pool and barbecue entertainment area. Free on-site car parking is provided. All apartments feature separate living and dining areas, full kitchen facilities and private laundry. 300 MB of free WiFi, per day, per apartment and LCD TVs are also included. Facilities at Comfort Apartments South Perth include a tour desk, babysitting service and personal grocery shopping service. Breakfast packs and BBQ packs are available. 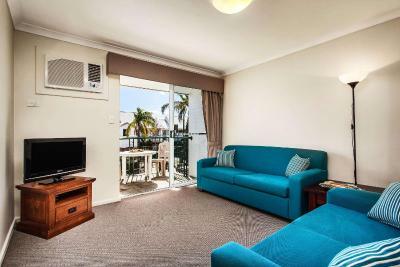 Comfort Apartments South Perth is a 5-minute walk from the Swan River. Perth Zoo and Burswood Entertainment Complex are each 5 minutes’ drive from the complex. South Perth is a great choice for travelers interested in scenery, relaxation and parks. 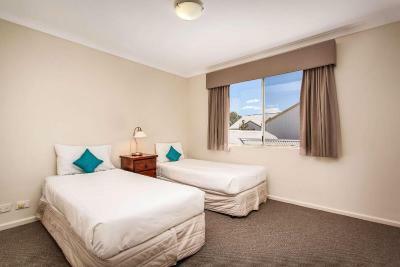 When would you like to stay at Comfort Apartments South Perth? Hotel surroundings – This neighborhood is a great choice for travelers interested in scenery, relaxation and parks – Check location Great location - show map Guests loved walking around the neighborhood! House Rules Comfort Apartments South Perth takes special requests – add in the next step! Comfort Apartments South Perth accepts these cards and reserves the right to temporarily hold an amount prior to arrival. Please inform Comfort Apartments South Perth of your expected arrival time in advance. You can use the Special Requests box when booking, or contact the property directly using the contact details in your confirmation. the shower! no handrails and the water supply both hot and cold were very inconsistent and all the time changed from hot to cold, WHY?? slippery floor. (They were the only complains we had and should be fixed, "duty of care"? Rooms with windows facing Mill Point Road can be noisy in the morning. Spacious rooms. Well equipped. Good showers and comfy beds. Nice balcony Good to have two bathrooms for two bedrooms. Not enough light in the shower once shower curtain closed. A little on the pricey side, but large apartments. Parking was a little out of our way but we managed! 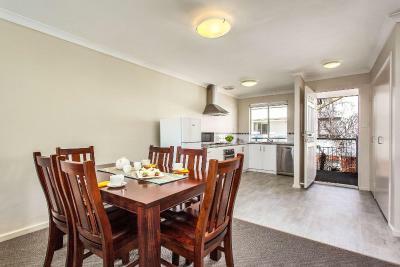 So roomy,, great location,, we had a 2 bedroom apartment which was perfect for my friend and I and our 2 young daughters... The receptionist was gorgeous! It was a bit far from the ferry. The 2nd bedroom was small for 2 adults. The location near to the river was very good. The kitchen facilities were great.